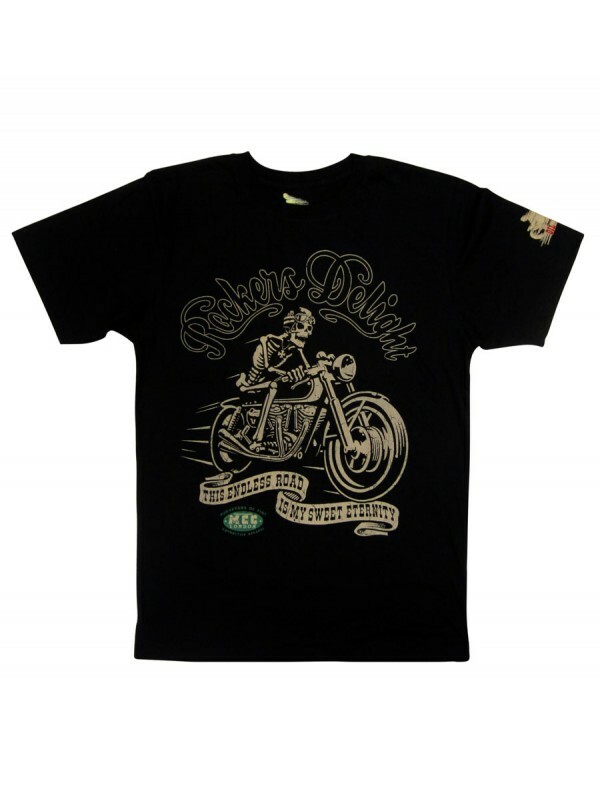 This black t-shirt illustrated an angry skeleton riding fast into darkness on his motorcycle. Tattoo style text reads "The Endless Road Is My Sweet Eternity." © 2004 - 2017 Yaguza.com. All rights Reserved.